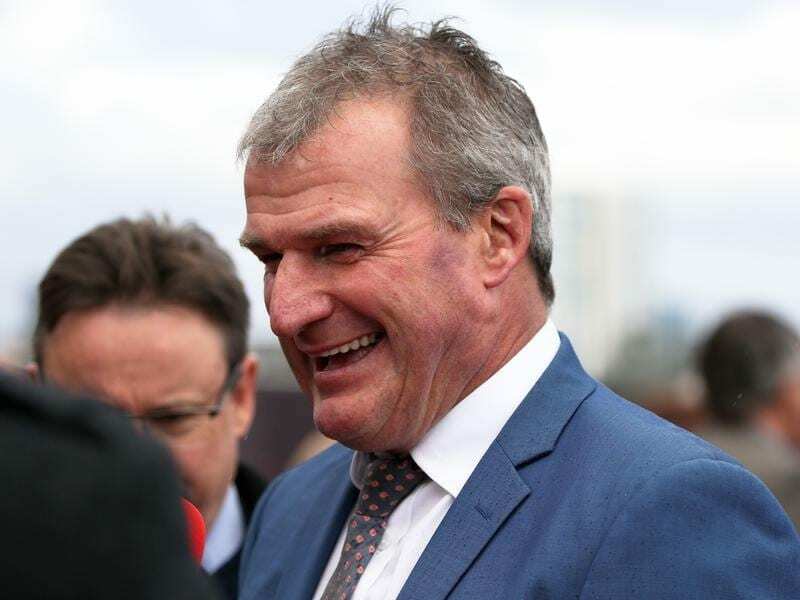 Trainer Darren Weir is closing in on a milestone150 metropolitan winners in Victoria. Darren Weir is closing in on another milestone in his latest record-breaking season. Weir has already smashed his own training records for winners Australia-wide and is also setting a new mark for Victorian metropolitan winners in a season. With three city meetings to go he sits on 147 metropolitan winners in Victoria and looks poised to reach 150 for the first time, which could come as early as Saturday at Flemington. Last season Weir broke Lee Freedman’s previous standard of 115 metropolitan wins when he finished 2016/17 on 137. He went past that mark this season with a month to spare and has 14 runners entered across seven of the nine races at Flemington on Saturday. Among the trainer’s chances on the Flemington program are Night Falls who is the $2.90 favourite in the Murray Cox Handicap (1600m) while Sixties Groove is the $2.50 favourite for the K.A. Morrison Handicap (2000m) in which Weir has five of the 15 runners.